JCDecaux and Transport for London are revamping the outdoor media sites Old Street roundabout in London revamped with four digital screens from October. The roundabout, to be rebranded Old Street EC1, is owned by TfL but will be developed by JCDecaux as a "premium media location" with four digital screens. The Old Street location, colloquially known as "Silicon Roundabout" because of the number of web based companies in the vicinity, currently has four traditional billboards in a 96-sheet format. The screens will be the same size. 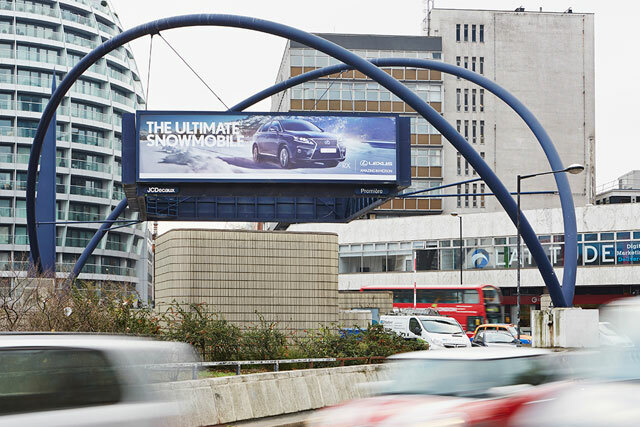 JCDecaux has agreed with Tech City UK, an affiliation of digital entrepreneurs across the UK, to show content from technology startups in the area on the revamped roundabout. Tech City UK will choose which startups get to use Old Street EC1 via a registration process. Spencer Berwin, the managing director of sales at JCDecaux, said: "Old Street EC1 will be a powerful communications’ channel for major brands in one of the most entrepreneurial and vibrant parts of the capital. We are working with partners to play a part in the exciting regeneration of the Old Street area." Graeme Craig, the director of commercial development at TfL, said: "As part of our strategy to improve the quality and dynamism of our advertising estate, these new screens will bring yet another dimension to our advertising infrastructure." The announcement of the new digitised roundabout was made at a technology breakfast on Tuesday, hosted by JCDecaux. During the meeting, Alex Matthews, the head of creative technology at Bartle Bogle Hegarty, unveiled a new technology which will enhance digital outdoor advertising by adding an audio stream people can access using their mobile phones. The technology, developed by BBH in partnership with JCDecaux, will link audio streams synched to the digital screen’s content. JCDecaux has also developed an online Tech Hub with Brand Republic to focus on the Old Street area. The hub will celebrate the area’s entrepreneurial spirit and keep readers up to date with news about the area.